The Baseball Softball Bank is not only a realistic decoration, but is also a great way to encourage passerby to save money. 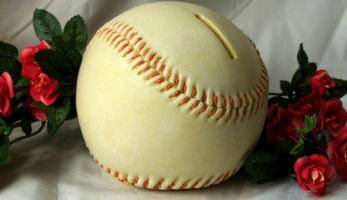 This creative replica is the perfect gift for any baseball lover or softball enthusiast, piggy-bank collector, or person saving up for a rainy day. Great for all ages.